Aprons are both easy and fun to make. With any of these free sewing apron patterns, you'll be able to sew an apron you can wear yourself or give someone as a gift. If you're always in the kitchen, you'll need a useful apron to wear while making your edible creations. Maybe you're more of the crafty type - make a craft apron which will come in handy when you're working with multiple tools and materials. With so many great apron patterns, you'll be able to make the apron that best suits your needs. 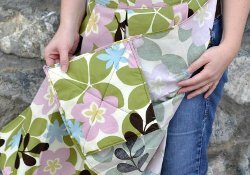 Learn how to make an apron and get creative with any of these free apron patterns. 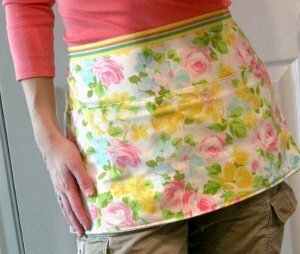 Pleated Apron With Built In Hot Pads: You won't believe how nifty this project is. The name says it all - the Pleated Apron with Built in Hot Pads is really useful. 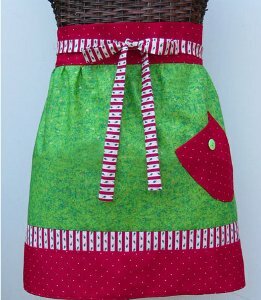 It's no ordinary apron because with this cool sewing project, you won't be searching for hot pads! Ten Minute Pillowcase Apron: If you're looking for easy aprons to sew, this ten minute pillowcase apron is for you! All you need is 10 free minutes and a pillowcase and you'll know how to make an apron. The Domesticated Skirt: The Domesticated Skirt is an example of how to make your own clothes. 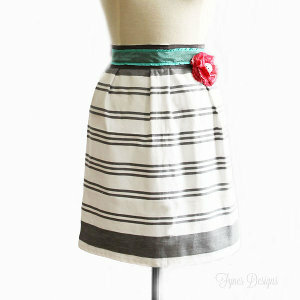 It doubles up as a skirt and an apron--perfect for woman who loves cute sewing projects and cute clothes. 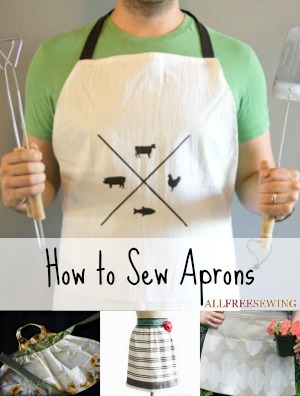 For more apron patterns, check out How to Sew Aprons: 31 Free Patterns for Aprons. 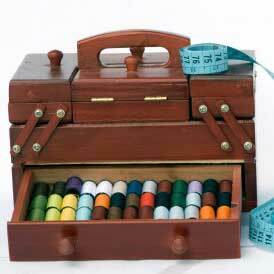 For more sewing projects for the crafty homemaker, check out our free eBook, 8 Easy Sewing Projects for the Home.